Not for sale to California residents. A courtesy email will be sent to CA residents who place an order for a base pad that has the capability of taking a magazine past ten rounds. Ultimately a refund will be issued. CA residence can only purchase +0 base pads and GLOCK 43 and GLOCK 42 base pads. The 43 and 42 base pads do not take the mag capacity past ten rounds. 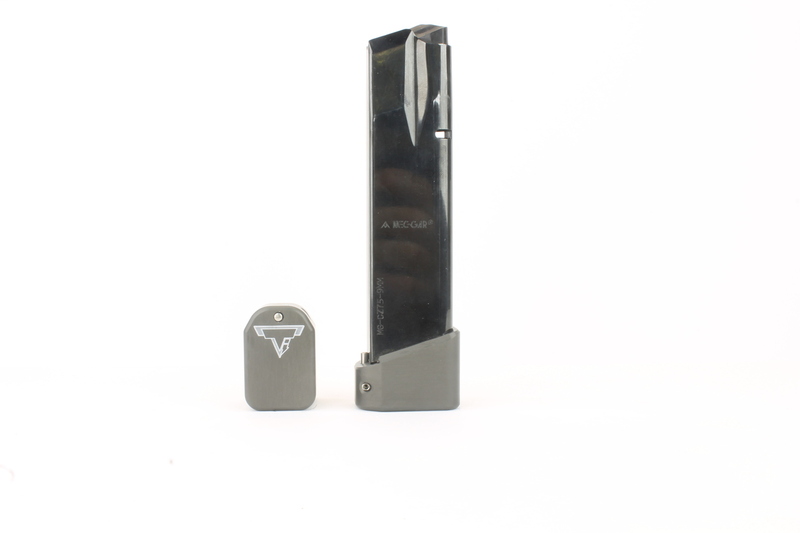 Taran Tactical Base Pad for CZ75 pin set screws are set with Loctite® at the specific tension we recommend, and will generally never need an adjustment. Tightening the base pad screw is not recommended and may be difficult because the screw is set with Loctite®; trying to force the set screw to turn could result in stripping the screw. We do not warranty base pads for stripped heads on set screws or pins lost in result of tampering with the set screw. – attach and detach with ease from the magazine. – No specialty tools or devices required to assemble/disassemble. – One piece design. No extra parts to possibly lose during disassembly. 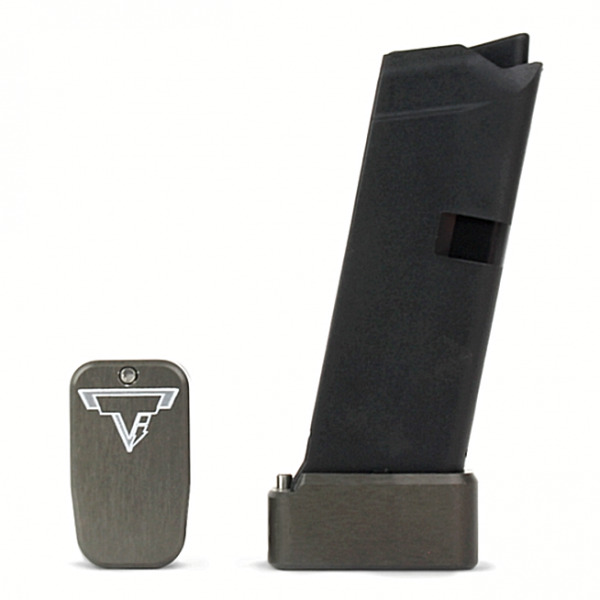 – Holds 19+1 rounds of 9mm in the CZ75 17 round magazine. – Hard anodized coloring process. 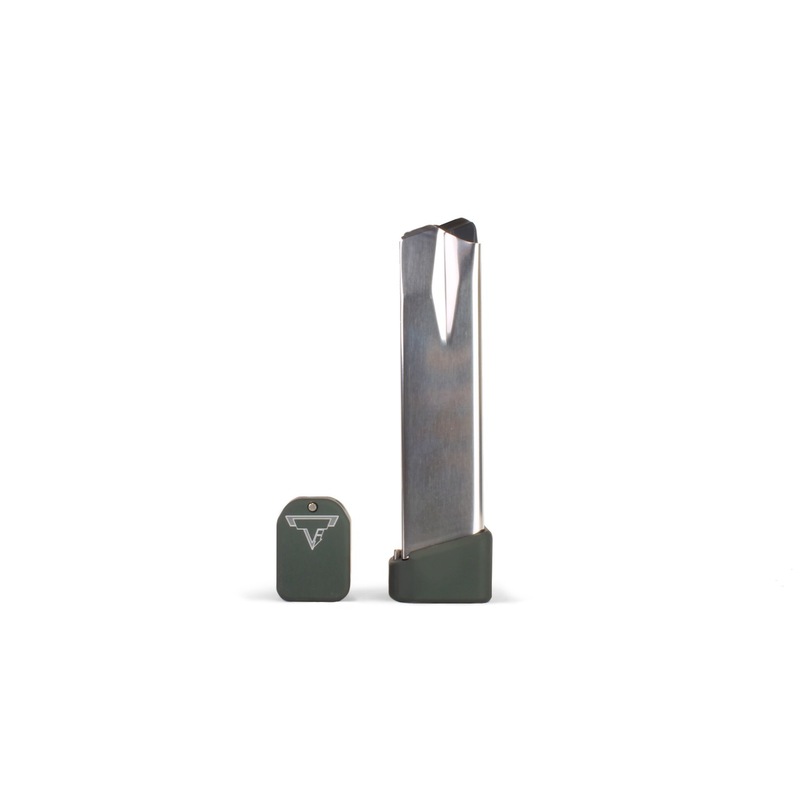 The Taran Tactical Innovations CZ base pad adds 2 extra rounds to the CZ75 17 round magazine, making the 17 round magazine capable of holding 19 rounds in the magazine and 1 in the chamber. 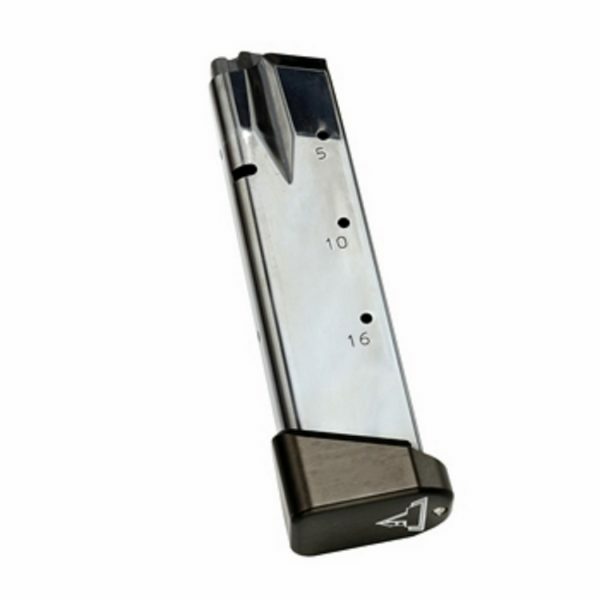 The TTI CZ base pad, just like all of our base pads are designed to give you the edge over your adversaries. 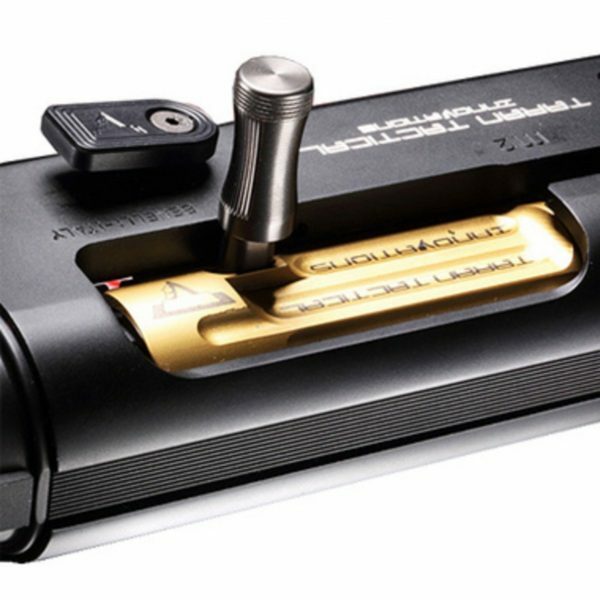 We use our patented push pin design to lock the base pad to the magazine, which makes for easy field stripping and cleaning between stages. Just push the down the pin, slide the base pad onto the magazine and push the pin up to lock the base pad onto the magazine. Our one piece design is great because there are no extra parts or tools needed to attach the base pad to your magazine. The base pad itself is machined out of billet aluminum and is hard anodized to ensure durable long lasting color. All machining and manufacturing is done in the USA.